When Homeward Bound first appeared in 1988, it forever changed how we understand Cold War America. 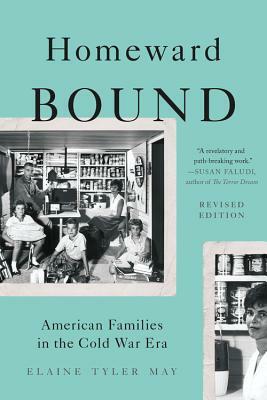 Elaine Tyler May demonstrated that the Atomic Age and the Cold War shaped American life not just in national politics, but at every level of society, from the boardroom to the bedroom. Her notion of "domestic containment" is now the standard interpretation of the era, and Homeward Bound has become a classic. This new edition includes an updated introduction and a new epilogue examining the legacy of Cold War obsessions with personal and family security in the present day. Elaine Tyler May is the Regents Professor in the Departments of American Studies and History at the University of Minnesota. She is the author books including America and the Pill, Homeward Bound, and Barren in the Promised Land, which received Honorable Mention for the William J. Goode Book Award. The former president of the American Studies Association and the Organization of American Historians, May has contributed to Ms., the Los Angeles Times, the New York Times, and the Chronicle of Higher Education, among other publications.